Lost: August 2005 contest 1st place winner! Lost: August 2005 contest submission. 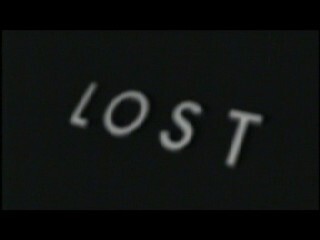 A look back over the first season of LOST. Season One brought mystery, intrigue, and intricate storylines. As fans we were introduced to our main characters and the pasts that have shaped them into who they are. We’ve seen them battle their demons and battle to survive. Friendships and romances have emerged in the lives of the characters. Some have taken journeys of self-discovery and others have journeyed into the jungle only to emerge changed. We’ve seen lives lost and new life born. Season One has taken us through an incredible journey from “Pilot” to “Exodus pt. 3” the story never stopped or dulled. The point of this challenge is to recap the highlights of Season One. Make it so that someone just finding out about the show can understand and follow it come Season Two. You must include ALL main characters (Jack, Kate, Shannon, Boone, Charlie, Claire, Sawyer, Walt, Michael, Sun, Jin, Locke, Hurley, and Sayid). It is your own personal choice if you include the supporting characters but you MUST use all main characters and highlight them even if just briefly. Here are some tips. Try and keep the story as chronological as you can. It’ll be confusing to someone new if you jump around through the episodes. You only have a certain amount of time so make careful choices in the clips you use. Try and pick out the highlights of the season. If you use flashback clips then try and do it in an obvious way that the viewer understands what is going on. Everyone that enters will be entered in a drawing to win a LOST Season 1 (Region 1) DVD Set! -Running time must not exceed 10:00 or one song with a minimum of 3:00. -Has to coherently tell the story of Season One. -Use ALL main cast members. -When entering your video on the Submit page, enter "August 2005 contest submission" for the description.